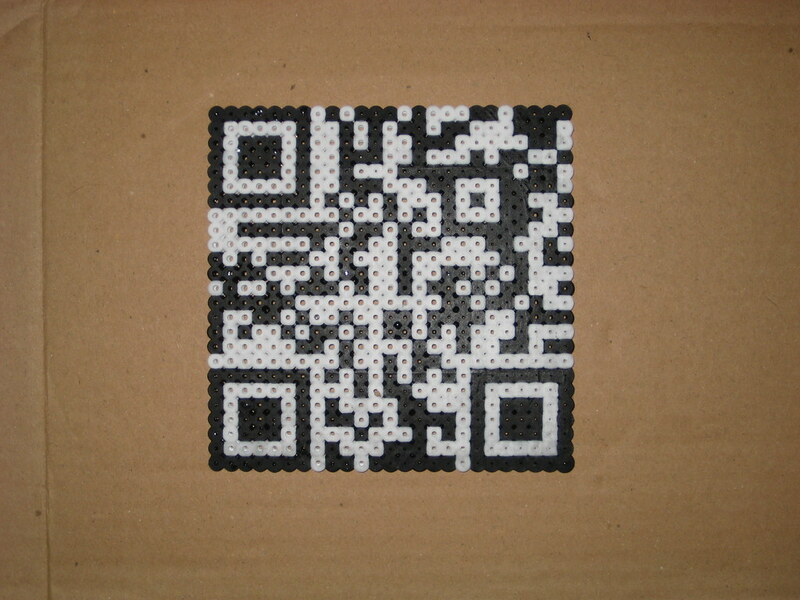 I have some fimo/sculpey that I was thinking of making canes with – QRCodes are a little more complicated than markers. Regardless, bravo Mr. Clare! A side benefit of the Graffyard post – I fell over the ZXing decoder. 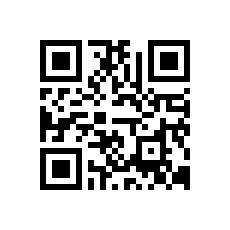 Not needed in the wild, but if you’re wandering the web and see a QRCode – or if you’re testing stuff – it could be quite useful. In fact, I plan on using it tonight to test pictures of meltybead codes. 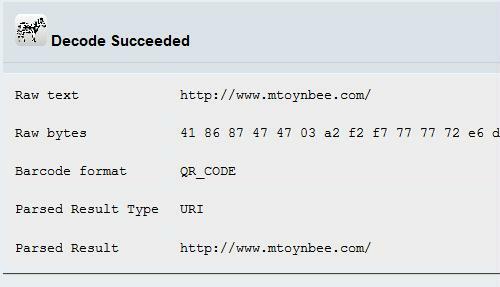 Step two – right click and copy the image location (for our example image, it’s http://mtoynbee.com/blog/wp-content/uploads/2009/05/mtoynbeecom_md.png). Step three – go to http://zxing.org/w/decode.jspx and paste the location. Click ‘submit query’. I am using QR Codes to preserve graffiti for posterity by photographing the graffiti before it is removed. 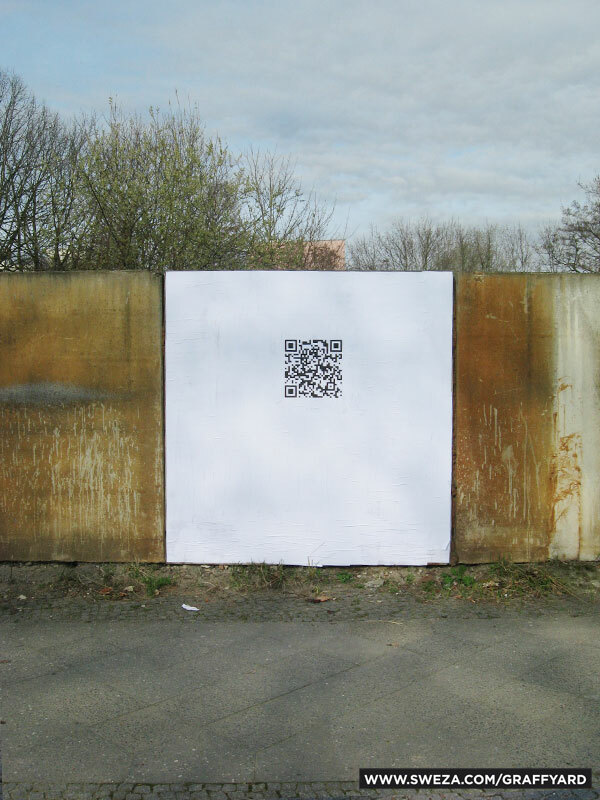 After the graffiti has been cleaned off by the local authorities or building owner i place a QR Code in the exact location which resolves to an image of the original. In that way a mobile phone with a QR-Code Reader can be used to travel back in time. 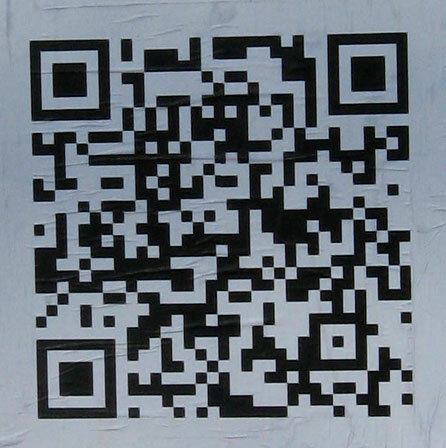 Reminds me of a similar project – one to embed QRCodes that link to street art. Where did I see that…? >grin< One interesting enhancement that occurs to me – the ability to page through various versions of the surface in question – a time-stream of modifications/tags/etc. 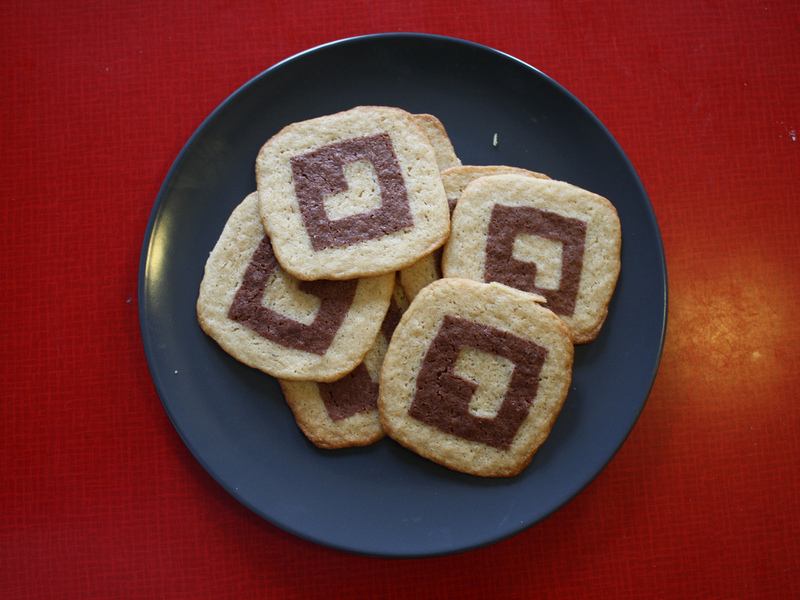 The QRCode approach is do-able. No RFID xmitter/receiver needed, no GPS fix required, no AR app installed. 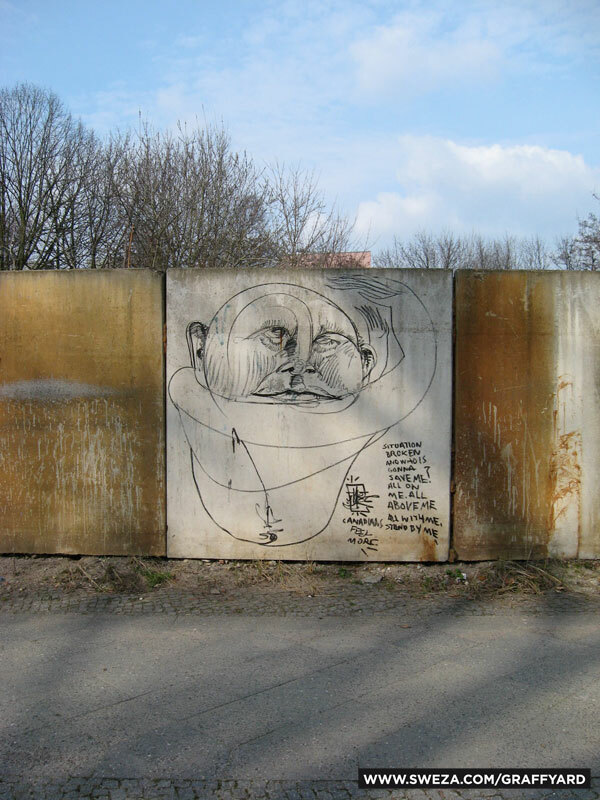 Point your phone at the meta-graffiti and away you go. It’s important to keep in mind that we in the US are way behind in cell phone kulturny – QRCode readers are almost a given in Japan and very common in Europe. I like the idea of a human-detectable (if – obviously- not human-readable) cue. The code is an indicator – ‘something is/was here’. The ‘AR app on a clean surface’ gets me thinking – will the next gen tag battles be waged by folks with good tech chops trying to subvert each other’s AR data? 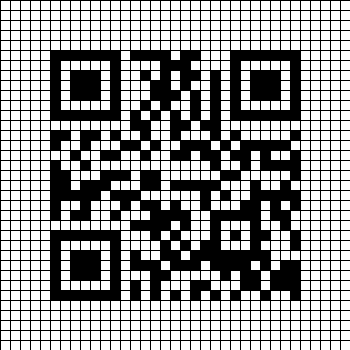 This is the QRcode needlepoint that got posted in BoingBoing in 2007, and enjoyed brief stardom in the NY Times. 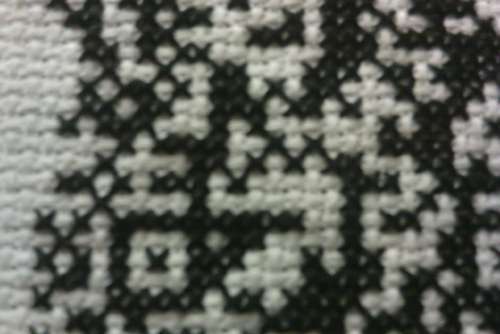 I sent the stitched needlepoint QRcode top to Amanda at Woolworks NYCand she sewed it up into a little velvet box pillow. Woolworks are also the folks that stitched up the NY Post covers for Brigid Berlin. 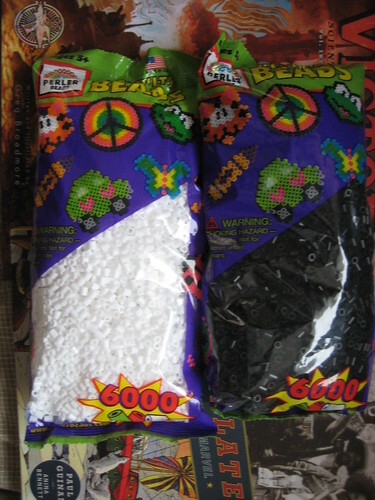 Having come up with a viable (meltybeads!) tiling scheme, it’s time to officially launch! If anyone wants to deploy a mediated toynbee tile in their neighborhood, fantastic. If you’d let me know, with a picture and a location, even better. My tile dropping will have to wait on warmer weather but you can expect daffodils and QRCodes to bloom simultaneously up here. OK, now I’m really dangerous! Twelve thousand melty beads in the mail today; 6k white, 6k black. I need to figure out a bombproof container – picking them out of the rug (or worse yet, having the dogs pick them out) is not my idea of fun. 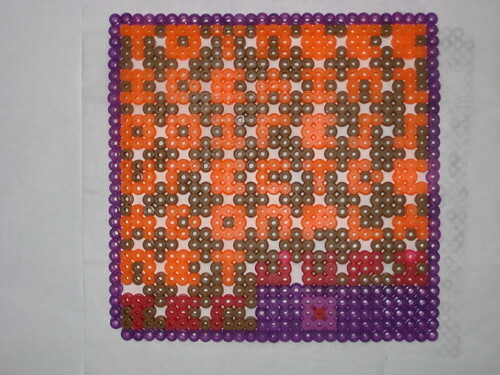 As you can see from the post below, I’ve been experimenting with Perler (aka melty) beads. 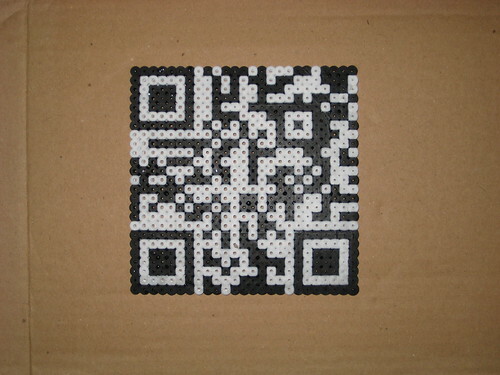 The starter kit I bought didn’t have enough black and white beads to finish the QRCode and I didn’t want to buy any bulk bags until I’d proven the concept so everything waited until today, when I swung by the local craft store and bought a mixed refill bag. Voila! I don’t think my cell phone camera/scanner SW copes well with low-light conditions – it wouldn’t scan in late afternoon ambient light and I had trouble scanning a QRCode in a movie theater lobby (dim) recently. At least, I hope that’s why scanning was temperamental; more testing wll be done tomorrow. And the explanation for the post title (for those of you who haven’t seen other references to it on the blog) is here. Posted on January 22, 2010 October 21, 2011 Categories making, QRCodeTags melty beads, perler, video runthrough1 Comment on Superperlerstingcodes are GO! 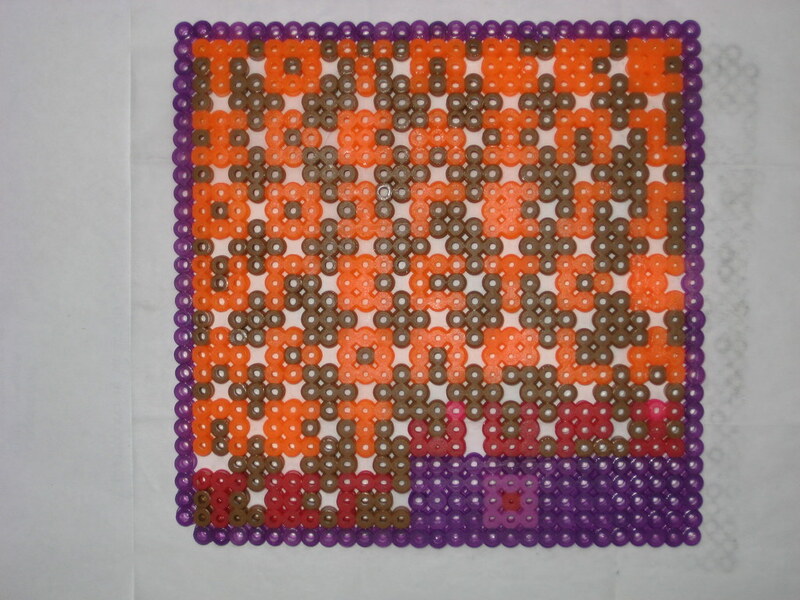 Doing a little practicing with melty beads – my iron-fu is not strong. Regardless, I managed to create a condensed Toynbee tile knock-off; now, on what should it be epoxied? Click on the pic to go to the instructable.